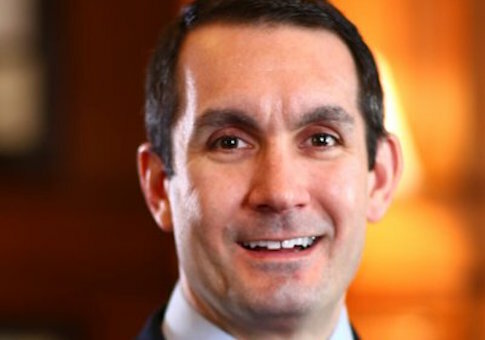 Pennsylvania state lawmakers need to look beyond legislation when retooling the state’s Workforce Development System and start over, Auditor General Eugene DePasquale said in a joint hearing of the House Commerce and Labor and Industry Committees. An audit released last month by DePasquale’s office said the state’s workforce development system did not meet the needs of employers and a stronger commitment is needed. House Labor and Industry Chairman Jim Cox asked DePasquale if a different board structure or another solution was needed. "I think it needs to be restructured entirely," DePasquale said. "I am going a little rogue here. You have to envision nothing exists right now and how you would create it. None of us would have it look like it does today." An emphasis should be placed on educating workers for the jobs needed by employers today, DePasquale said. He referred to the Thaddeus Stevens College of Technology, a two-year technical college in Lancaster that has a job placement rate near 100 percent. Rep. Keith Greiner, R-Lampeter, asked DePasquale if a bigger focus should be placed on schools like Thaddeus Stevens without minimizing the universities and colleges in the state. "The short answer is yes," he answered. "How can you look at a 100 percent placement rate and think, ‘We shouldn’t be doing more of that?’"
The workforce needs to have the right skills to meet the demand of employers. DePasquale said a conversation he had with a representative of a local steamfitter’s union while marching in a Pittsburgh Labor Day parade put the issue at the top of his agenda. "He said, ‘Hey, you may not know this, but there are about 500 welding jobs open at the cracker plant that is opening in Beaver County, and we can’t fill the jobs,’" DePasquale said. Workers without a college degree who put in overtime could make up to $100,000 a year, DePasquale was told. "He said, ‘What are we doing to try to prepare our young people for these jobs,' because if we don’t do it, people from Oklahoma, Nebraska, Texas, and what have you, were going to come in and fill those jobs." Another issue is the aging workforce. Those who are 55 and older who lose their jobs will need mental health counseling and retraining because "certain jobs are just not coming back," he said. DePasquale has praised the creation of the Keystone Economic Development and Workforce Command Center by Gov. Tom Wolf and will serve as a member. The center will bring together state departments and external organizations to find solutions to the skills gap and employer needs.